Posted	 September 11, 2013 by	Kirtan Singh Khalsa & filed under Community, Sikh Dharma International. In Guru Teg Bahadur Ji’s words, “Nobody expects the unexpected to happen.” He also says that, “In good times we make friends and in bad times we test them.” This is the story of September 11th, 2001. None of us expected the attacks to occur then and there and in the way they took place and to have the impact they had; but they did. That is God’s doing. In the lines of Guru Nanak’s Jaap Ji Sahib, “Jetaa keetaa tetaa naao, vin naavai naahee ko thaao,” – “Even the smallest action has God’s Name written all over it and not a single place or space exists without God.” We can wish the attacks didn’t happen. We can pray it never happens again. We pray for the departed souls and we pray for their families. It is all God. In the wake of September 11th Sikhs were arrested for weariing kirpans, Sikhs were pictured in news reports in the same sequences of photographs depicting the horrific destruction of the attacks. Sikhs were discriminated against, fired from their jobs that they had held for years, beaten, stabbed and commonly screamed and yelled at on the streets. Days after the attacks, Balbir Singh Sodhi was shot dead in Mesa, Arizona, because he was wearing a turban. Two elderly Sikh men were shot and killed in April 2012 outside Sacramento on their daily walk and in August of 2012 six Sikhs were shot and killed in an attack on the Oak Creek, Wisconsin Gurdwara. We pray for those lost souls, the injured and their families. And all of this is God’s doing. There is nothing unusual, extraordinary or unbelievable about any of this. Humans act inhumanely all the time. Sikhs have been the subjects of attacks since the time of Guru Arjan Dev Ji and ever since Guru Gobind Singh established the Khalsa Raj. As Sikhs, our grace is the Guru’s Grace, and as such, we are blessed to continue to stand tall in the face of adversity. We shall continue to wear our turbans, as we are the sons and daughters of Guru Gobind Singh and we live for his legacy and the values of social equality and recognizing God in All that legacy symbolizes. In the time since September 11th we have sharpened our swords of community relations, interfaith involvement, media affairs, legal affairs and working together as a Sikh family. We made a lot of friends throughout the American culture in the years prior to September 11th, but from the minute after the attacks up to this moment we have tried those friendships and found them to be true. And the many other friendships that we have made since are strong in their resolve of standing together as one nation under God. As the Lt. 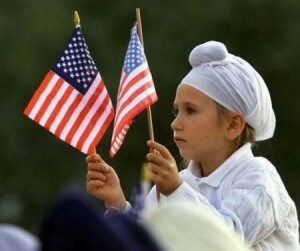 Governor of California said in 2011, “What do I call someone wearing a turban in America? I call him an American.” And as the many law enforcement and government officials from Federal, State and Local levels at last month’s one-year memorial of the Oak Creek Gurdwara shootings said, “How do we respond as a community to an attack like the Oak Creek shootings and how are we defined by it? With Sarbat daa Balaa and Cherdi Kalaa.” And they know the meaning of those words, in their hearts, as strongly as you or I.
Hail Guru Ram Das and Heal the World.